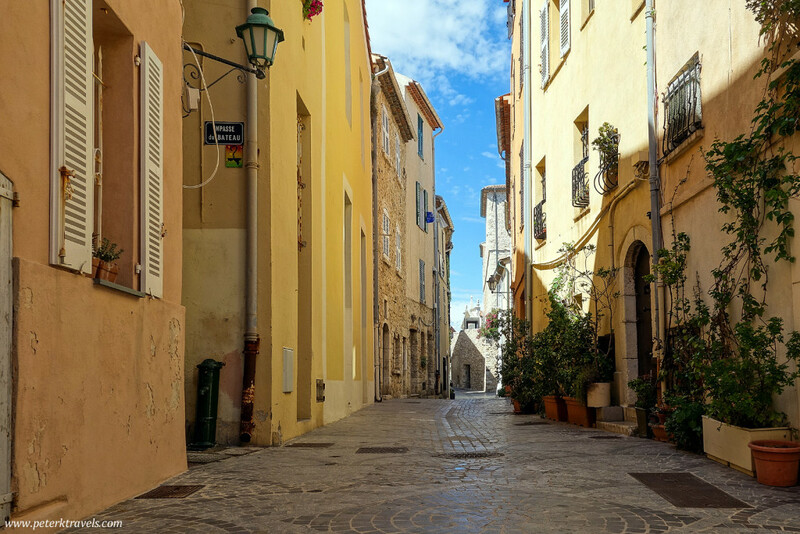 On a bright sunny day during our trip to the French Riviera, we decided to take a day trip to Antibes. 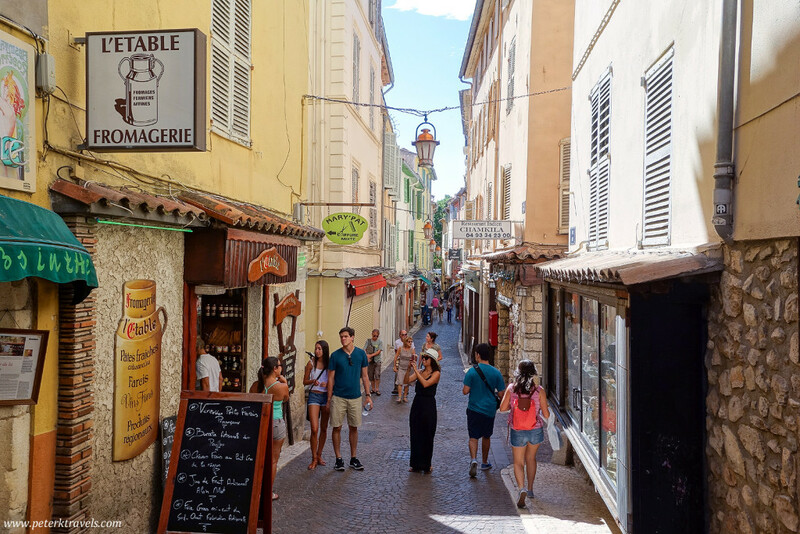 Antibes in located between Nice and Cannes, and is easy to get to via the local trains. Some sort of town has existed here since the Greeks showed up in the 5th-century BC. The area’s natural harbor provided a perfect place for trading. 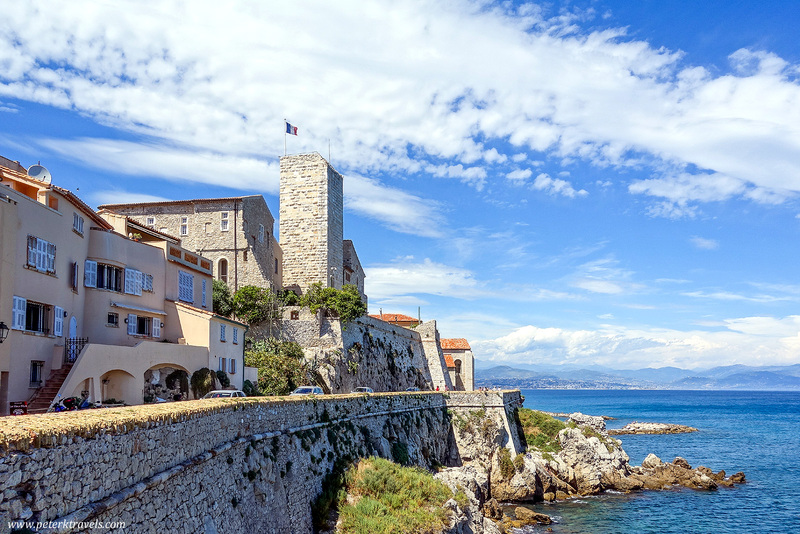 More recent history finds Antibes as a wonderful tourist destination with beaches and museums. 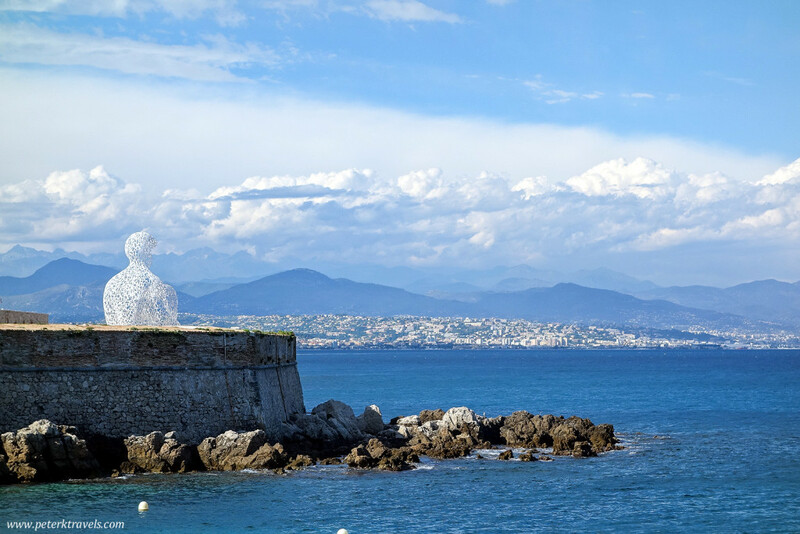 Fort Carré is a 16th-century star-shaped fort that stands outside Antibes, and is apparently only open for special events. 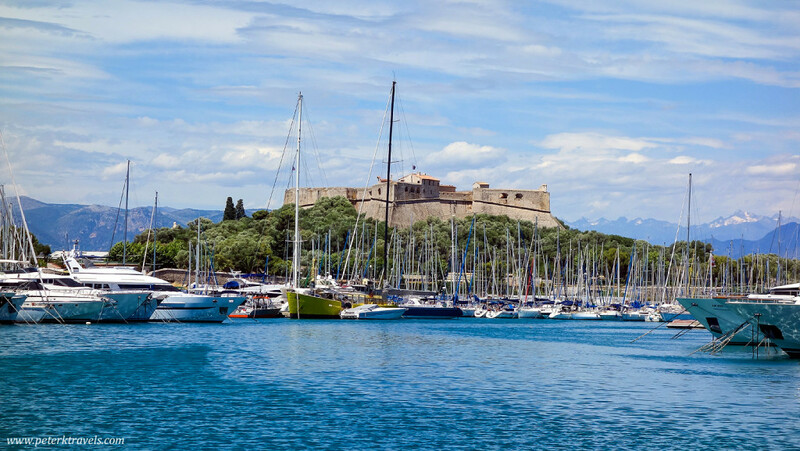 I love the view above with the boats in front, and the mountains behind. This was to be my first clue of how photogenic Antibes was. 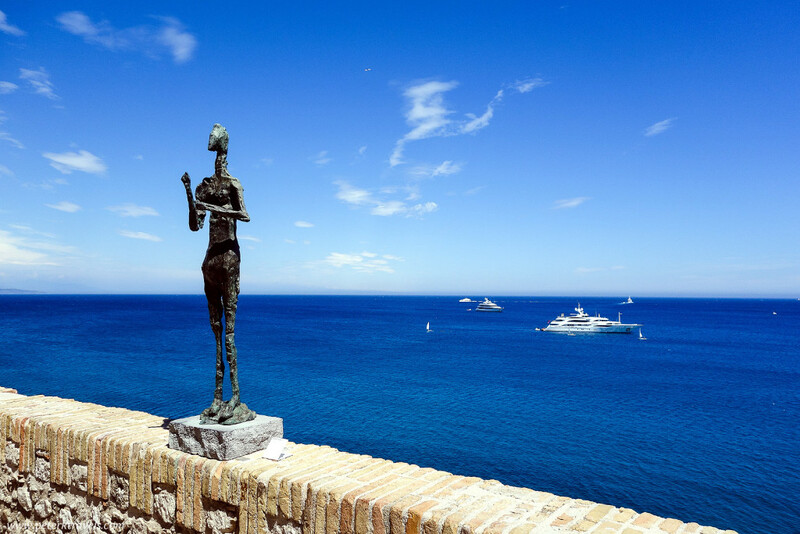 Walking along the city walls, you can also get a nice view of the Saint-Jaume bastion, with a large sculpture at the end. Access to this was closed during our visit, but research after the trip tell us more: the sculpture is named Nomade, and is made of letters. It’s hard to tell from my photo, and I wish we had been able to walk out and get a closeup photo. 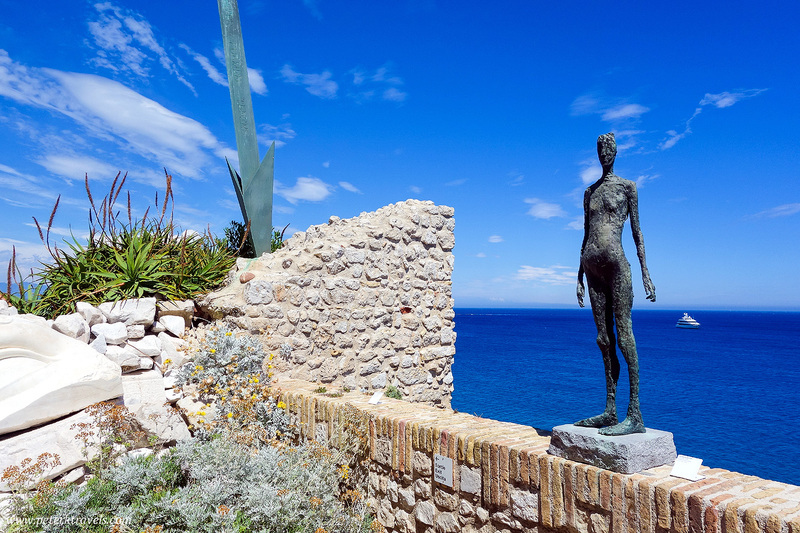 Continuing along the seawall, we came up the Château Grimaldi, home of the Picasso museum. 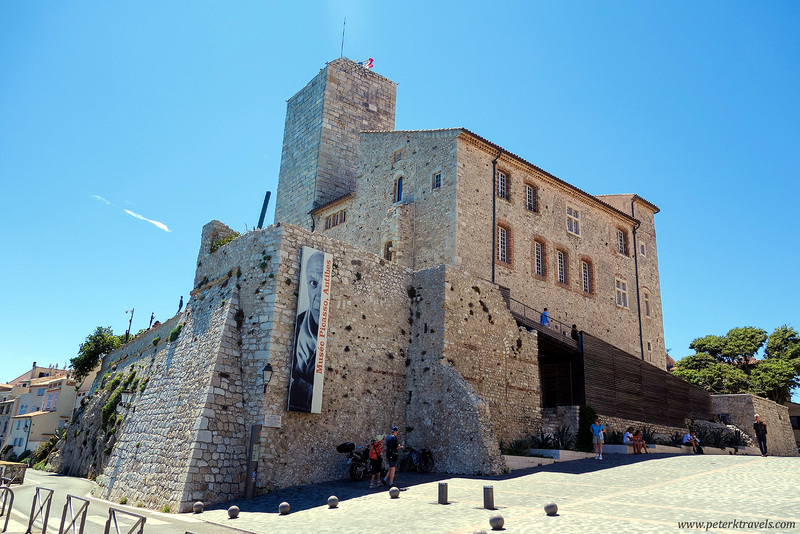 Picasso worked out of this ancient building for a time in 1946, and it now houses a small collection of his works. After eating, we walked back toward the marina where there was a nice view of the beach. It’s a located in a protected cove, and it looked like a fun place. 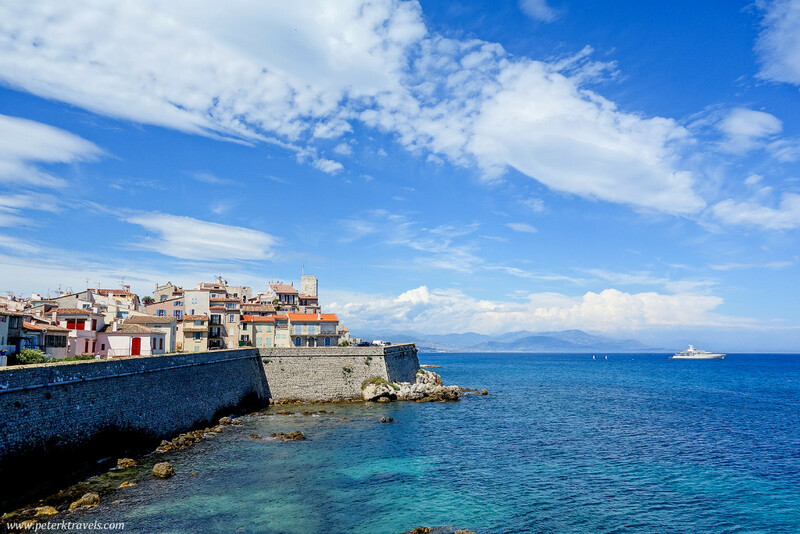 We didn’t bring our swimsuits, perhaps next time. 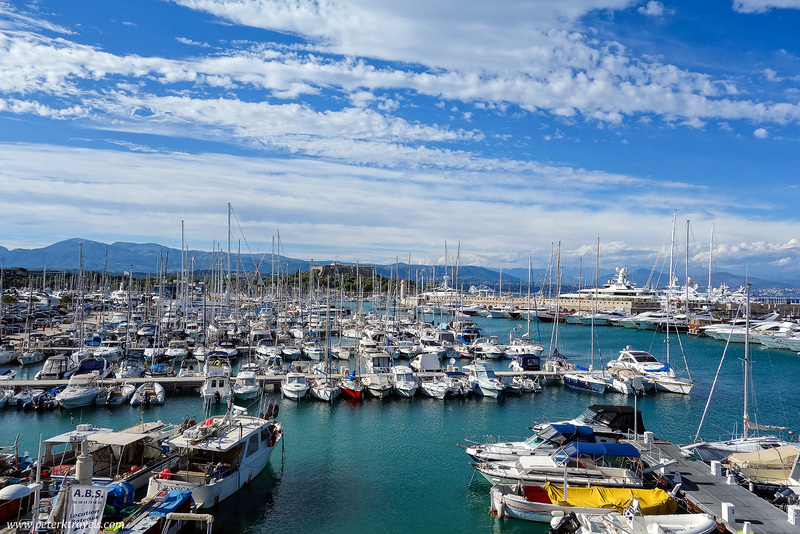 We really enjoyed spending a day in Antibes. 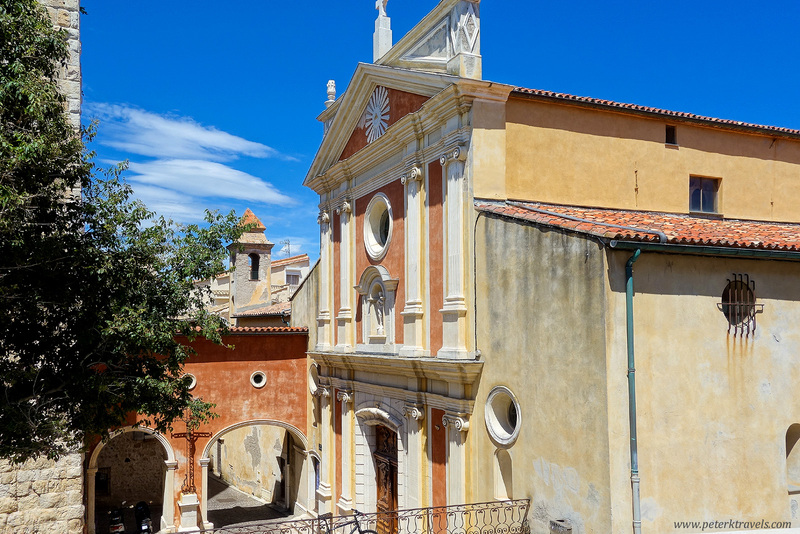 It’s a beautiful place with fun stuff to see and do.